The Treasury Board of Canada Secretariat has mandated that all federal departments must convert to and use the ISO metadata standard by May 31, 2014. Why is this being done and how can an organization meet this deadline? As many Canadian GIS practitioners are aware, the Treasury Board of Canada Secretariat (TBS) has mandated that all federal departments must convert their existing geospatial metadata records and create all new records in accordance with an approved international metadata standard by May 31, 2014. So what does this really mean for the federal government and more importantly, what does all this metadata stuff mean to you? 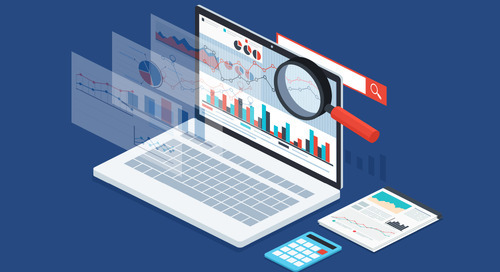 Metadata is often considered a foundational requirement for an SDI as it is used to catalog, share and search for geospatial data across the globe. However, it also underpins good internal data management, so creating and following an appropriate metadata policy is good practice. In the geospatial world, metadata is used to describe the geographic data held within the associated spatial data file. This metadata information includes items such as the data layers, the spatial extent, the date of data creation and the organization that created the data.  Sharing data within an SDI includes sharing metadata, so a standardized metadata format is required to allow everyone to easily share, read and write these metadata records. The initial, most popular geospatial metadata standard format was developed in the US. It’s called the Federal Geographic Data Committee (FGDC) Content Standard for Digital Geospatial Metadata (CSDGM). The FGDC CSDGM was a good starting point, but there were some drawbacks including lack of maintenance, lack of improvements and lack of international standards organization approval. So a group was formed within the International Organization for Standardization (ISO) and an improved metadata format was agreed to in 2003, which is known today as ISO 19115:2003 – Geographic information – Metadata. See Figure 1.1 for an example of different metadata content. Figure 1.1: Various common geospatial metadata standards and their content. The ISO 19115 standard has been improved over the years and the ISO metadata family of standards supports not just vector data, but raster images and Web services. In addition, profiles (or subsets) of the standard have been created for specific geographies, such as North America, Europe, Australia and New Zealand. Profiles have also been created for application in domain specific areas such as marine, geophysical and energy. So enough on the history: what does a Canadian Government mandated metadata standard mean for the average GIS Practitioner? Well, in Canada, TBS has mandated the use of the ISO 19115 standard or the North American Profile (NAP) version of the standard. Supporting this may sound difficult but it’s not that bad. The easiest way for organizations to implement ISO metadata is to setup a project to convert from their existing FGDC CSDGM (or possibly other standard) to ISO 19115 metadata. A target date for the implementation should be decided upon and the conversion completed by that date. Also all new metadata created after that date should also be compatible with ISO. Many tools are available to help with ISO metadata creation and maintenance including ArcGIS for Desktop. Organizations should develop an ISO metadata record template for their organization and simply edit the template for creating new metadata. A good place to start is the Natural Resources Canada, North American Profile of ISO19115:2003 Register Website, which includes several examples of NAP metadata records that can be downloaded and edited in ArcGIS for Desktop to produce a template for your organization’s NAP metadata. Once the metadata conversion project is complete, your organization is ready to catalogue, share and distribute metadata to anyone in the world on or before the May 31, 2014 TBS deadline. Gordon Plunkett is the Spatial Data Infrastructure (SDI) Director at Esri Canada. He has more than 30 years of experience in GIS and Remote Sensing in both the public and private sectors. He currently sits as a member of the Community Map of Canada Steering Committee, GeoAlliance Canada Interim Board of Directors, the Open Geospatial Consortium (OGC) Technical Committee, the Canadian General Standards Board (CGSB) Committee on Geomatics, the University of Laval Convergence Network Advisory Committee and the Advisory Board to the Carleton University Geomatics and Cartographic Research Centre. During his career, Gordon has worked on projects in more than 20 countries and has contributed to numerous scientific conferences and publications. At Esri Canada, he is responsible for developing and supporting the company’s SDI vision, initiatives and outreach, including producing content for the SDI blog. Has Geospatial Data Sharing Changed Over the Years? Has data sharing changed much over the last few decades in Canada? Some have and some have not. 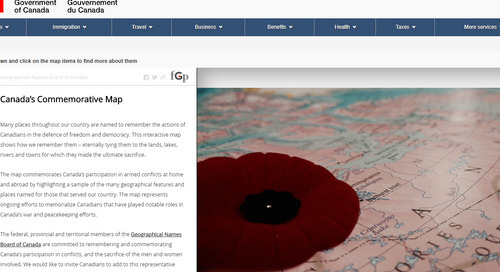 Stay up to date with the Esri Canada Blog. I agree to receive relevant electronic messages from Esri Canada. 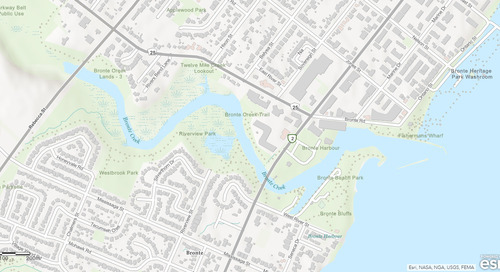 Read this Esri Canada blog post for information on some of the latest and most significant spatial data infrastructure news, data and products. 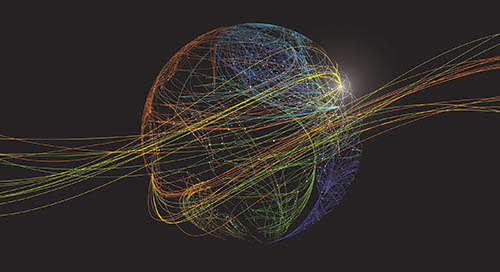 Are your Spatial Data Infrastructure tools ready for the big data deluge? 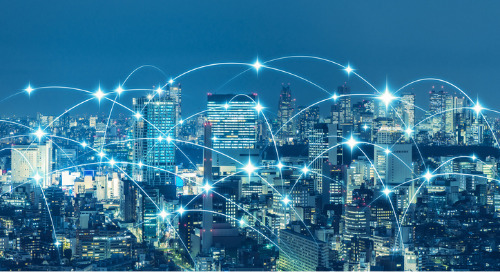 Find out why digital data volume will continue growing and why Spatial Data Infrastructure tools will be key to managing the data deluge. 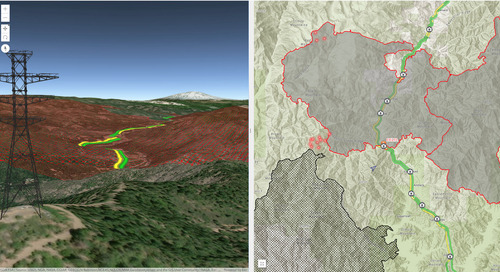 SDI Interesting Reads contains informative articles about spatial data infrastructure. Why are SDIs critical to an organization’s digital transformation? 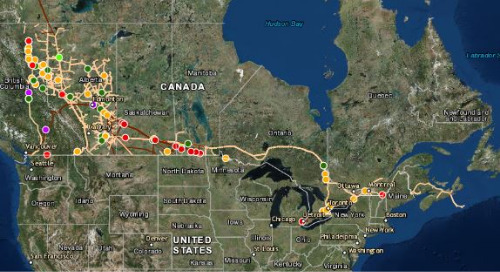 Where are the federally regulated pipelines in Canada? Which country was ranked the most geospatial ready? Find out in this collection of SDI news. Read about a giant floor map, a new national geo-conference, alternatives for retired web map services and more. 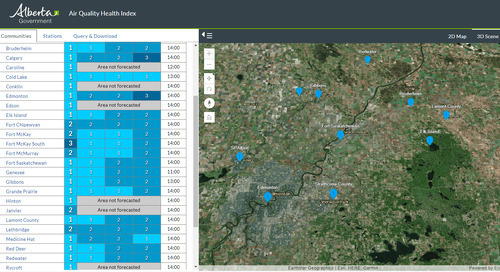 How do you enable smart government using a geospatial infrastructure? 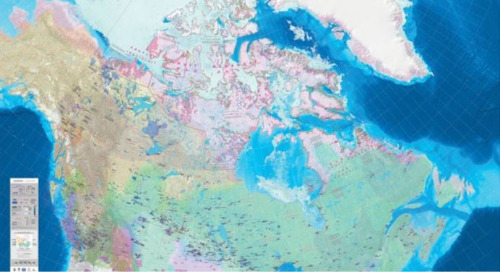 Read why Canada should follow the UK’s approach to creating smart governments by improving policy and decision-making using geospatial infrastructure. What new global and Canadian spatial data infrastructure datasets and resources are now available? Find out in this blog post. Build up your knowledge of spatial data infrastructures with this month’s collection of articles. What is the role of open data in SDIs? 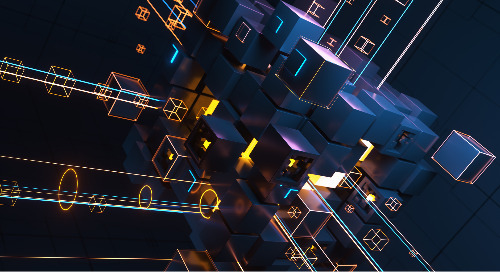 Find out how to leverage your Spatial Data Infrastructure investments to get the most out of your organization’s open data. 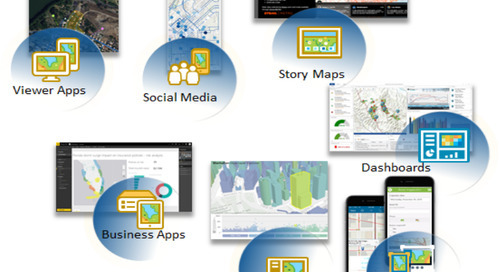 Have you made the switch to ArcGIS Pro yet? 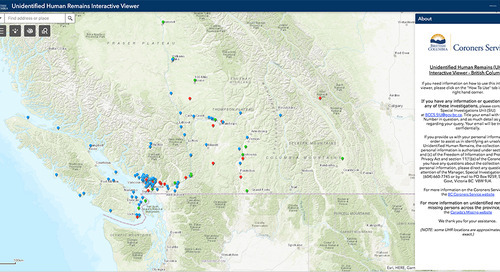 Providing geospatial products and services just got easier with ArcGIS Pro. Find out why ArcMap users should make the switch to ArcGIS Pro. 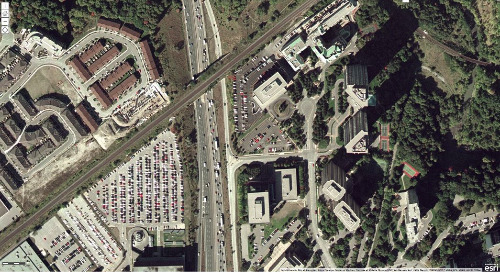 How are Spatial Data Infrastructures advancing across Canada? 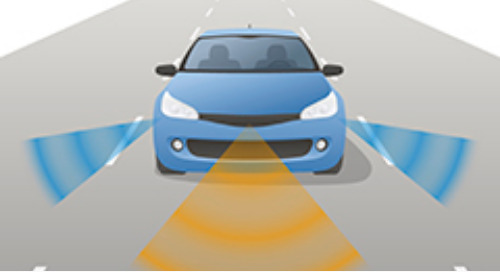 Spatial Data Infrastructures are developing fast as technology improves. Find out the SDI components that are important for its implementation. 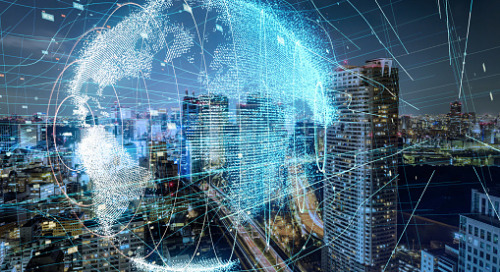 A collection of interesting reads on spatial data infrastructure––emergence of geospatial cloud, driverless vehicles, artificial intelligence and more. 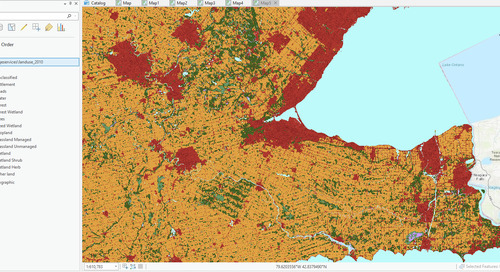 What is the status of Canada’s Spatial Data Infrastructure? 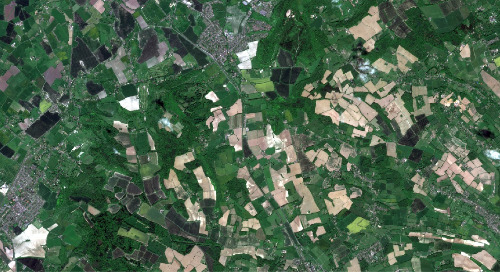 How can the sharing of geospatial data and services be improved? 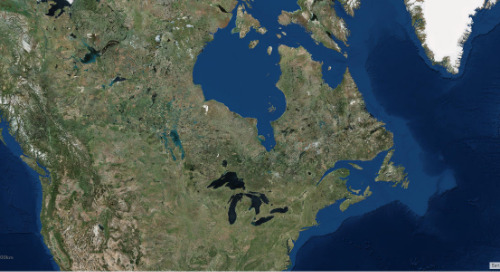 Find out why Canada needs a national Spatial Data Infrastructure (SDI). 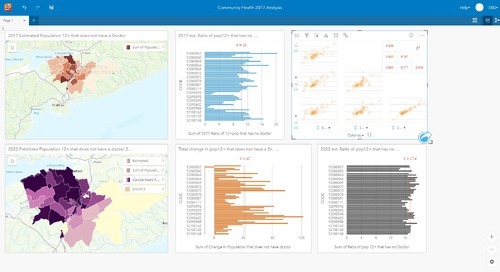 SDI Snapshot is a collection of the latest and most significant spatial data infrastructure news, data, products and events in Canada.